Sometimes it all happens in a way that one forgets the magic in how it all plays out. My hope is that this post will be understandable regardless if you have an understanding of horse or not. I find not knowing about something can sometimes offer an advantage because you do not have a preconceived notion. I did not know my love and regard for animals was different than most people. I thought everyone aspired to attain the same personal goals in the way they tended to their animals. 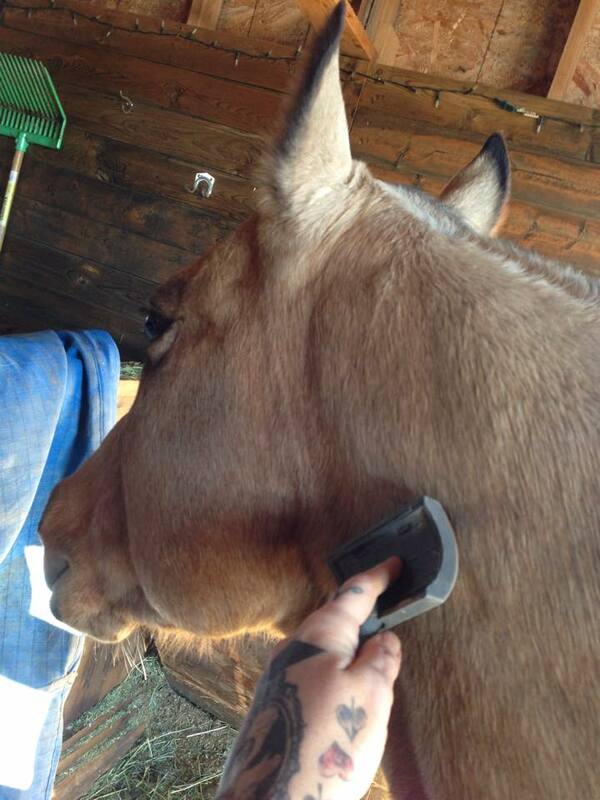 I ran an equine sheath cleaning service on the Island that put me up close to the horse/ person ownership dynamic and that was my first inclination that I was not the same. Now some years later I have better appreciation for what I have learned and witnessed. My quiet confidence allows the animals to be, rather than feeling the need to force them to assimilate to my desires or wants. In fact I have grown further into a being that measures my success with my animal companions by their personal state of being. Not only knowing they are provided with good food, water, shelter and maintenance required like hoof work or chiropractic help. Yet also ensuring they have a good mental state of being, companionship and the ability to be as they wish. So the small miracles witnessed at turn out/in time for example are really a sight to be seen and appreciated. It is a natural flow. 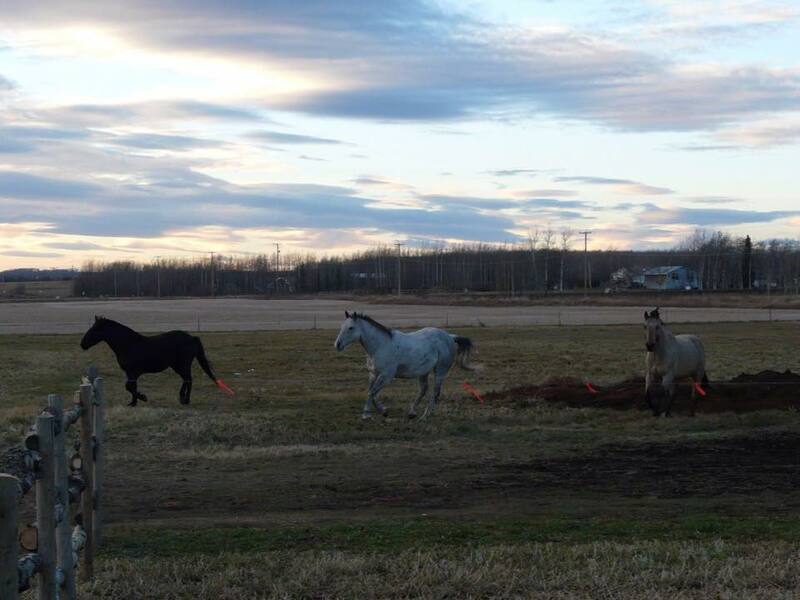 In order the horses get turned out from their paddocks. One by one always in the same order from Spirit to Tommy. They are aware of their space and they are aware of their position amongst each other. For the most part the transition from the paddock area to the field is calm and orderly unless they have not been able to be out and then it looks fast and animated. No time but to get out and run. Yet for all horses turning a horse out is quite easy as they want to go, they want that freedom. The magic is always at Turn in time and I say this because this is where you can actually see the animal choose for themselves. With the herd I am rarely ever waiting. In fact they wait for me. Our turn out field is like a horseshoe shape and the side of the door to my home is visible to them. 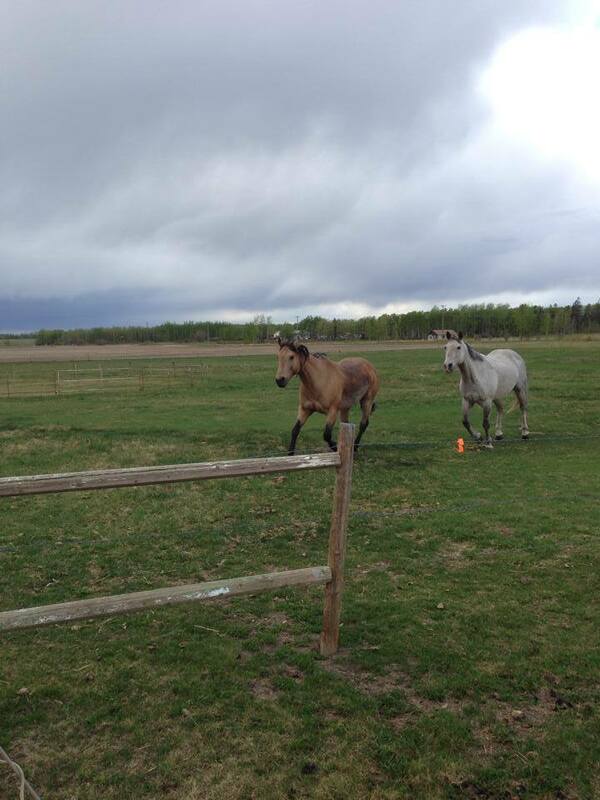 Since the horses are very in-tune to sounds I figure they know when I am in mudroom getting on my boots and by the time I open the door they are already heading to the gate and waiting patiently for me to cross the yard and let them in. Since Spirit is the herd leader all the horses will follow. This is a great learning experience for any new or young horses here as they learn through action that coming is a good thing. I do believe the desire of your horse to come to you is a measure of your relationship. Turn in is the test because you see where your horses mental state of being is. Seeing 4 horses standing at the gate is not a parlour trick. Those horses want to be there. As the horses turn themselves in, they walk what we refer to as the shoot and each horse knowingly directs themselves to their paddocks. As we keep the gates closed they will wait patiently for their gate to be opened and as I watch them I reflect upon how we got here. About a year ago it was really set to motion, It was a natural shift for us and no preconceived plan or training method was in mind. 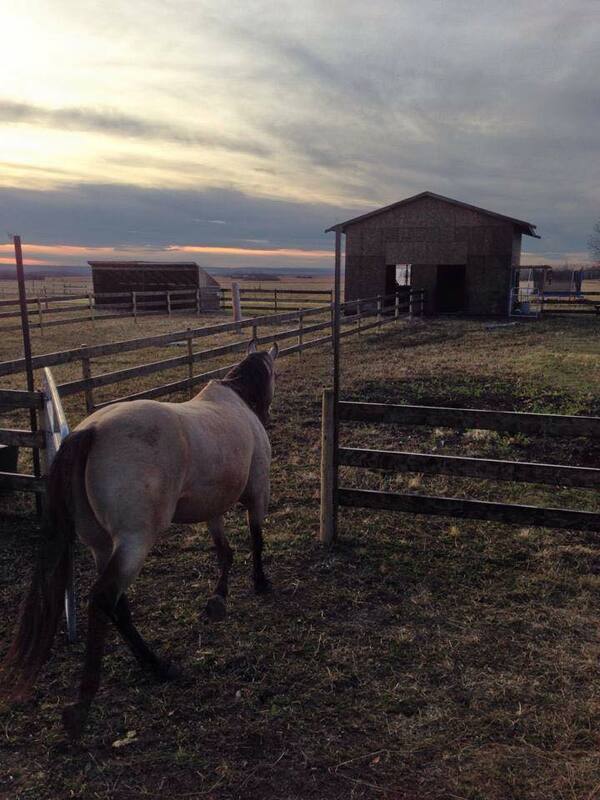 Once the barn was moved we were able to change the way we were handling and moving the horses. 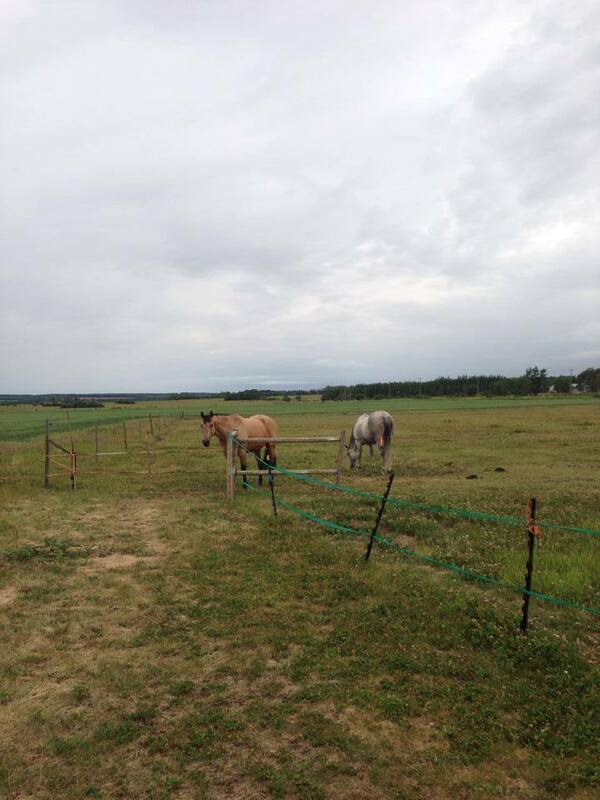 At the time we had to halter and lead the horses out because there was no connecting fence-line to the field. If you opened the gates there was no safety net so to speak from the road. I knew I wanted to offer them more freedom and choices and I knew if I followed the direction of the herd leader Spirit, with his help the horses way would change. 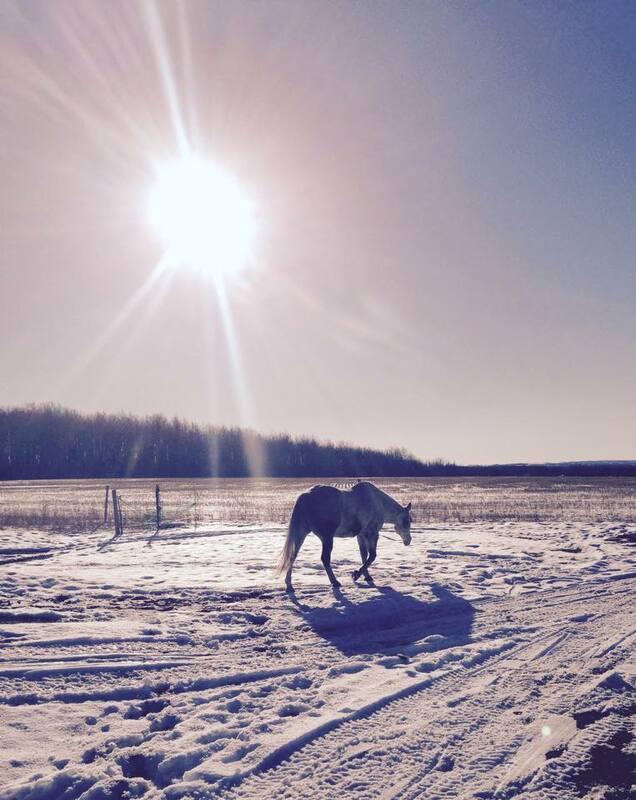 What sets us apart from common situations is that we choose NOT to halter and restrain our horses for as many tasks as we don’t feel the need to. I wish I have evolved the relationships with the horses to say that I never need a halter yet that is not the case. I do halter the horses and hold a lead when service providers come to see the horses. Not because of fear that the horses will hurt the service provider or put us in a compromising situation rather to keep the horses attention because when new people come to the farm they bring with them a new energy and novelty. Same for the service provider and so some assimilation is required when curiosity can rival the need of a scheduled visit. 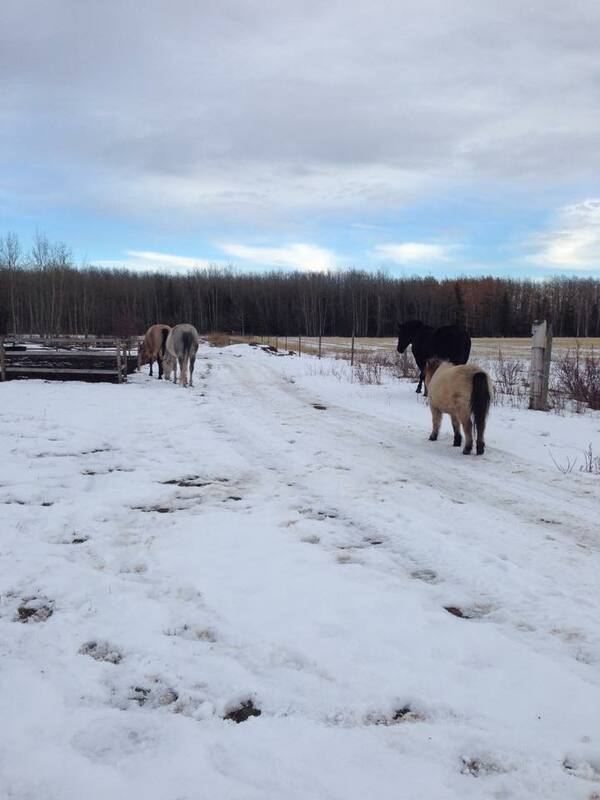 For the most part we groom and move the horses with out halter or lead. 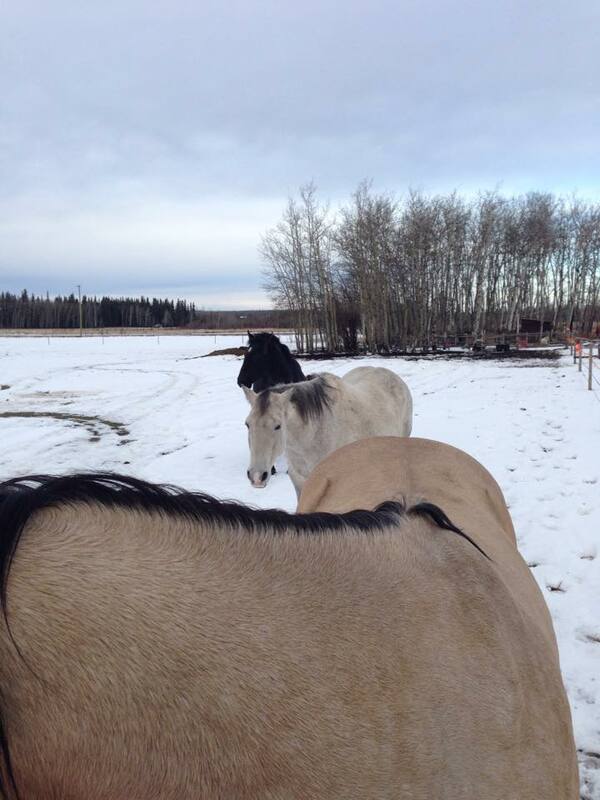 We do not use fear or training methods that were derived from primal instinct to drive and move the horses. We simply let them make the choice for themselves. Which in the end has given us a greater understanding and connection with the horses because we know when the horses make an action or say come forth it is their choice and their own will that propels them. Not the force of my hand or desire. A sincere genuine desire.